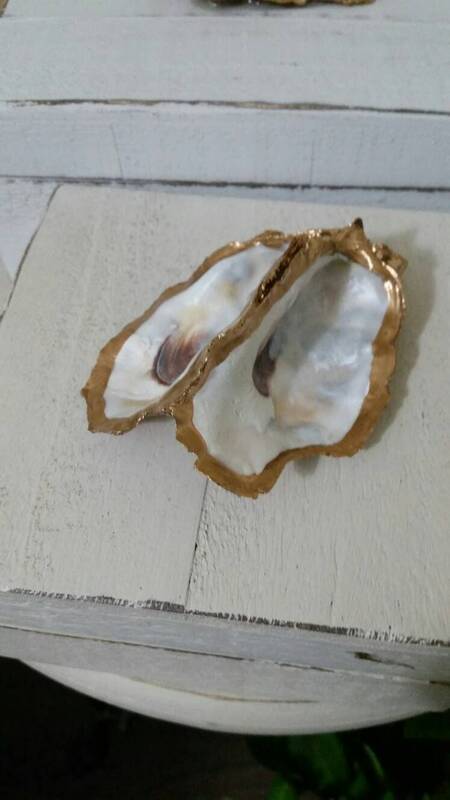 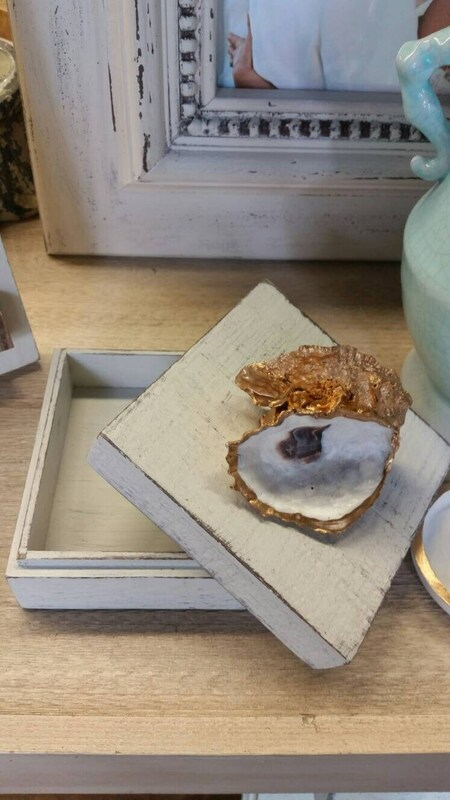 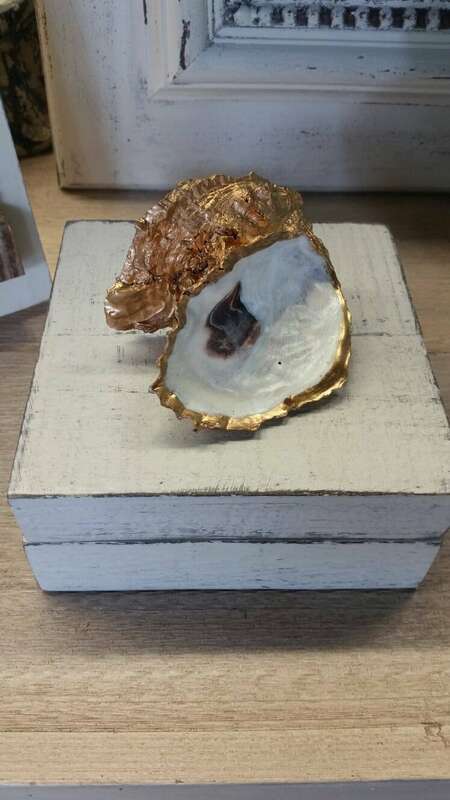 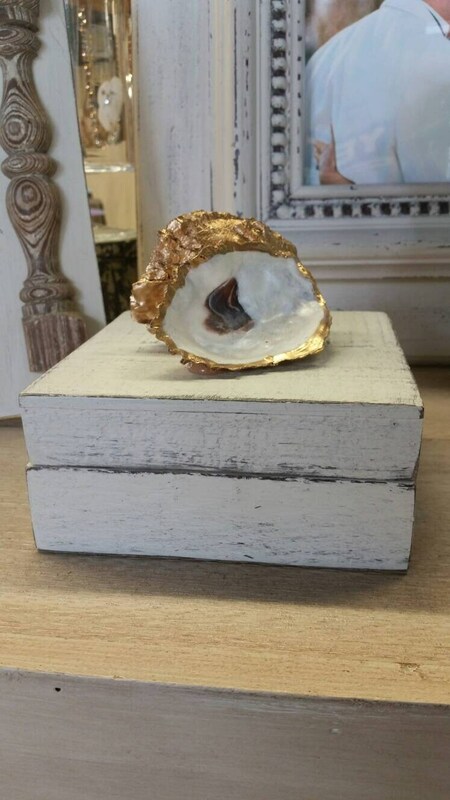 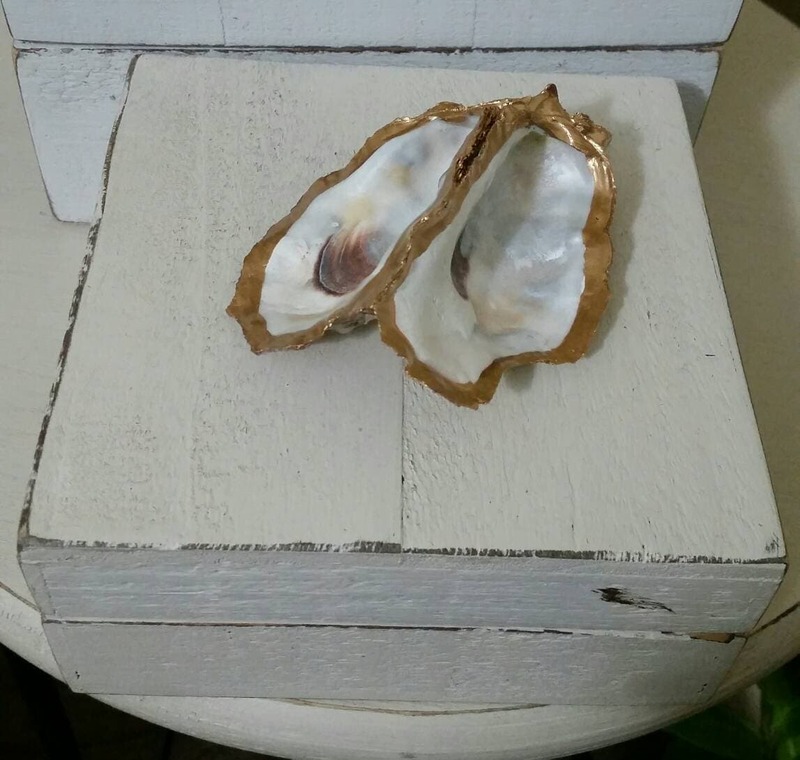 Wooden Box with Real Oyster Shell with Gold Leaf, Painted Distressed White - Jewelry Box, Storage - Handmade - Medium Size. 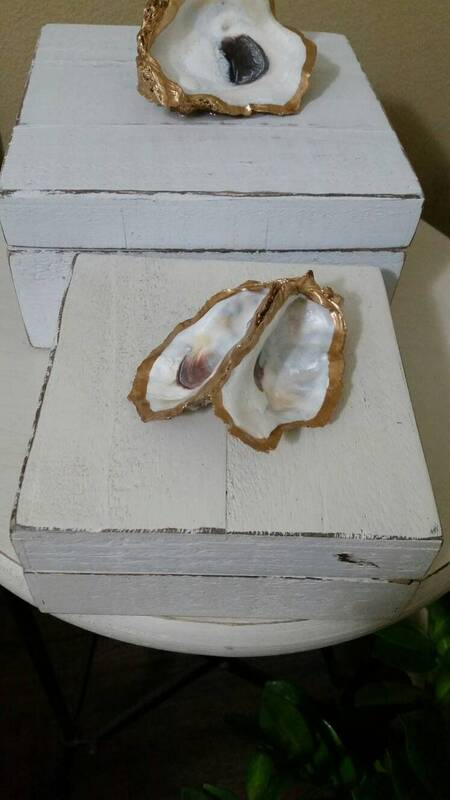 It has so many uses jewelry box, extra hidden storage, coffee table on a stack of books. 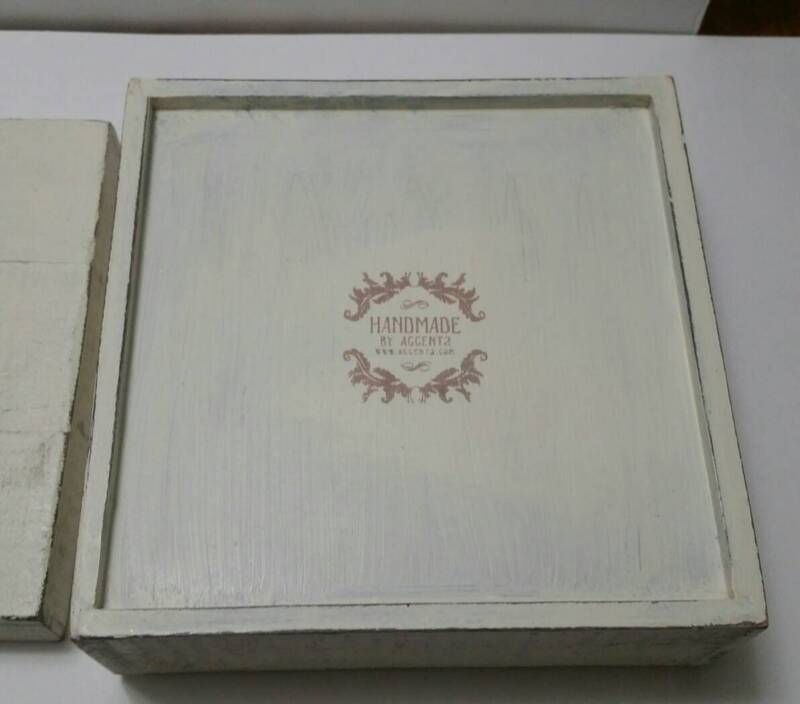 Overall size is 6" × 6" × 5 1/4" high.